Available from Castlegate James , Brewers Sweet Grain is an excellent forage extender and can be used as a pasture replacer to allow paddocks to be rested for further growth or silage production. Based on Brewers Grain, Brewers Sweet Grain supplies a dry matter content about 20% higher, thereby enabling an improved feed utilisation and a reduction in feed wastage. 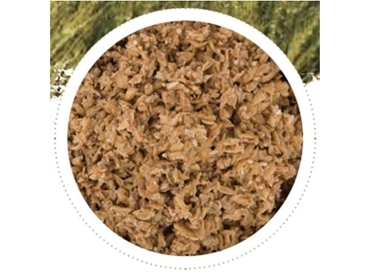 Brewers Sweet Grain also contains various sources of highly fermentable fibre, sugar and starch based energy forms to promote a greater rumen efficiency and feed conversion. This forage extender also boosts the value of Brewers Grain stockfeed via the addition of starch and glucose, thereby helping to maximise milk production and optimise milk components. Due to the small particle and highly digestible fibre, Brewers Sweet Grain also promotes a high dry matter intake (DMI). Furthermore, the increased surface area of small particles in Brewers Sweet Grain enables rapid digestion of both fibre and sugar/starch sources. Brewers Sweet Grain forage extender is suitable for supplementary feeding or as an ingredient in total mixed rations for dairy and beef cattle. It is available on a long term and regular basis for those clients wishing to secure ongoing supply and may also be contracted or purchased on a spot basis subject to availability.